What is the purpose of Momentum if, during a political crisis, it remains silent? Was the most recent false-antisemitism crisis really caused by an erased 6 year old mural? Blumenthall gives a good background to what is happening at the current moment. The right-wing of Labour, led by Chuka Ummuna, Wes Streeting and other nonentities, is determined that Corbyn must be ousted. The only quandary they face is how and when. 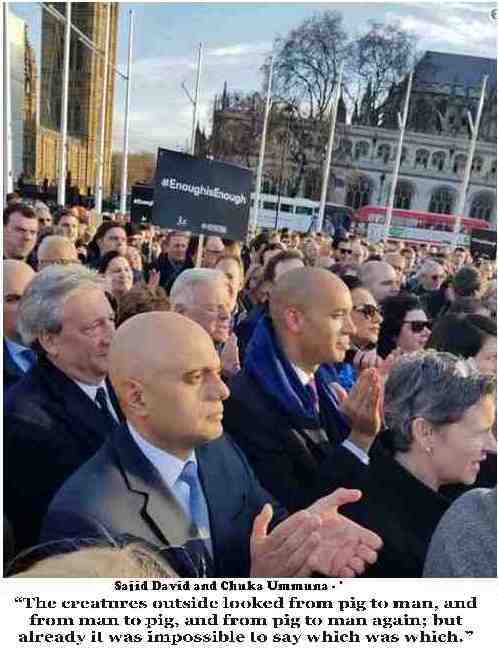 The events this week when around 50 Labour MPs joined a Zionist rally outside Parliament, which masqueraded as a Jewish rally against Anti-Semitism, are significant. This rally had at its core not only the far-Right of British Zionism, people such as David Collier and Jonathan Hoffman – both of them collaborators with Britain’s neo-Nazi right, but more mainstream reactionaries such as Norman Tebbit, Sajid David and the anti-Catholic Democratic Unionist Party. Such is the totalitarian make-up of the Zionists that they want to make criticism of this rally a disciplinary offence in itself! Just about everyone who displeases them is now an ‘anti-Semite’. It is now seriously argued that denying Jews (not anti-Zionist Jews of course) the ‘right to define’ their alleged oppression, is itself anti-Semitic. Soon coughing in public could become a form of anti-Semitism. The Jewish Labour Movement and Labour Friends of Israel (which don’t hesitate to demonstrate alongside outright fascists who support Israel) seems to forget that Israeli standards of democracy haven’t yet been imported into Britain! The Daily Express cites a letter from the Board of Deputies and the Jewish Leadership Council to Corbyn saying that it was a "disgrace" that people who joined this demonstration had been subjected to "abuse and insults". In fact it was the other way around. It was the anti-Zionist Jews who were abused. I was called a ‘traitor’ on 2 occasions (Zionists assume that all Jews owe an automatic loyalty to Zionism and Israel even if you are British). It would be difficult for the Right to attack Corbyn over austerity. The cuts are not that popular and Corbyn has succeeded in shifting Labour away from things like cutting benefits to the poor in favour of taxing the rich. The supporters of neo-liberalism in the PLP such as Chris Leslie find it difficult to motivate people behind the privatisation of the NHS. That is why ‘anti-Semitism’ is such a useful weapon. Who could possibly not oppose anti-Semitism? All the Zionists have to do is to redefine anti-Semitism as opposition to or criticism of Israel and hey presto, they can attack the Left with impunity. The only problem the Zionists face is that most people refuse to accept the ridiculous International Holocaust Remembrance Alliance definition of anti-Semitism – a treatise consisting of 450+ words if you include 11 illustrative examples, 7 of which relate to criticism of Israel. To most ordinary people anti-Semitism is simply hatred or hostility to Jews as Jews. That is why the demonstration by an alleged 1,500 people last Monday (it was nearer 500) has left most people unmoved. No one in their right mind accepts the lie that anti-Semitism is on the increase and is now a major danger. Most Jews let alone non-Jews don’t accept it and that is the problem for the Labour Right. That is also why Jeremy Corbyn should get a backbone and stop apologising all the time to these racists. He should stand up to their attacks and defy these creatures to do their worst. If that provokes outright rebellion from within the PLP so much the better. It is better to get rid of sewer rats like John Mann before rather than after an election. Corbyn should not hesitate to call out those whose real goal is to remove him from the leadership. It is a pitiful spectacle to watch Corbyn demeaning and humiliating himself, making repeated apologies for not having recognised that a disputed mural, erased 6 years ago, might have been anti-Semitic. It is not at all clear that it was directed against Jews at all. Having built an organisation of 36,000 members, Momentum has proven totally useless in this crisis. Why? Because Momentum is the plaything of one man, Jon Lansman and a handful of cronies on the National Coordinating Committee, the majority of whom are not elected. Momentum has no democratic internal structures, no policy making conferences, no regional structures, no liberation strands (Black, Women, Youth etc.) and it is owned by one person – Jon Lansman. That is why after this self-inflicted crisis is over people have to demand the democratisation of Momentum and an end to the rule of one man. 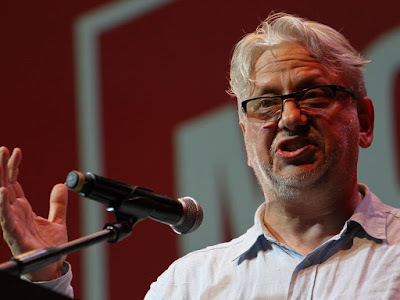 If Lansman is seriously concerned with supporting the Corbyn leadership as opposed to promoting the interests of the Israeli state, then he will bow to the will of the members. Because there is no doubt that the Right in the PLP is going to strike again – the only uncertainty is whether it is before the election or after it. That is why we need to be serious about reselection. If Corbyn wins the election and becomes Prime Minister then he is going to be even more at the mercy of the likes of Hilary Benn. Either we force them out now or they will force Corbyn out later. Inside the pro-Israel campaign to crush Labour’s left-wing insurgency. After years as a backbencher in parliament railing against Tony Blair’s business-friendly agenda and mobilizing opposition to the invasion of Iraq, Corbyn emerged last summer as a frontrunner for Labour leadership. Against vociferous opposition, he stunned his opponents with a landslide victory, winning nearly 60% of the vote with help from a grassroots coalition of Muslim immigrants, blue-collar workers and youthful left-wing activists. It was around this time that allegations about Labour’s “antisemitism problem” began to gain steam. As this week’s local elections approached, the chorus of outrage erupted into the mainstream, with outlets from the Daily Mail—the tabloid still owned by the Rothermere family that supported the British Union of Fascists and expressed admiration for Hitler during the 1930s—to the liberal Guardian howling about a plague of Jew hatred spreading through the ranks of Labour since it opened up to the so-called Corbynistas. Even the Israeli government has gotten in the act, with its ambassador denouncing Corbyn on national TV while Israel’s Labor Party threatens a boycott of its sister party in the UK. Behind the manufactured scandal is a real struggle over the future course of Labour. The right-leaning elements empowered by Tony Blair are determined to suppress the influence of an increasingly youthful, ethnically diverse party base that views the hawkish, pro-business policies of the past with general revulsion. With the British middle class in shambles after three decades of constant benefit cuts and a new generation in open revolt, Labour’s Blairite wing has embraced a cynical strategy to shatter the progressive coalition that brought Corbyn to power. By branding the solidarity with the Palestinian cause flourishing among British Muslims and radical leftists as a form of antisemitism, the elements arrayed against Corbyn have managed to manufacture a scandal that supersedes more substantive issues. 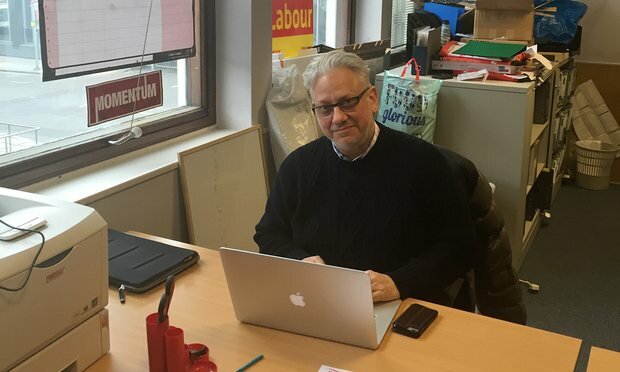 Right-wing bloggers have been dispatched to trawl through the social media postings of newer Labour members to dredge up evidence of offensive commentary about Israel and Jews or invent it when none exists. In the paranoid atmosphere Corbyn’s foes have cultivated, virtually any fulsome expression of anti-Zionism seems likely to trigger a suspension. 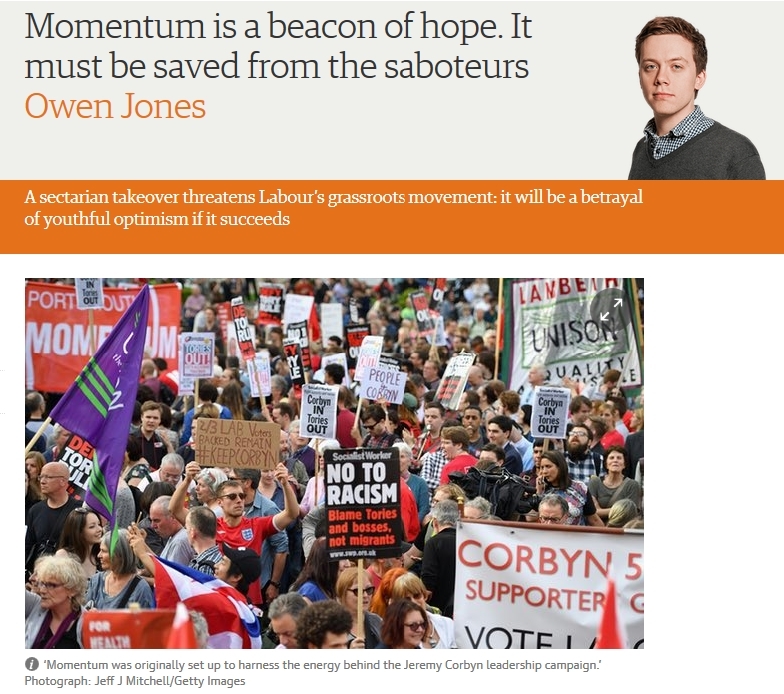 Those behind the escalating crusade will not be satisfied until they claim Corbyn as well. Indeed, the manufactured scandal around antisemitism appears to be just one step on the way to a bloodless coup. Far from the gaze of the mainstream British media, a researcher named Jamie Stern-Weiner has conducted perhaps the most thorough investigation into the claims of an “antisemitism problem” within Labour. Stern-Weiner found that out of 400,000 party members, perhaps a dozen had been suspended for supposedly antisemitic remarks. Surveying the individual cases, he discovered that many, if not most, of the offending comments related to Israel and Israeli policy, not Jews per se. Stern-Weiner went on to demonstrate that Guido Fawkes, the right-wing gossip blogger responsible for a substantial number of the antisemitism outrages that erupted in the British media, had doctored passages from Labour members’ social media postings to make them appear more offensive than they actually were. Though British press has framed Labour’s “antisemitism problem” as a recently discovered and entirely organic phenomenon, elements in the party have been pushing it since the race for Labour leadership. And many of the offending social media posts were published during Israel’s assault on the Gaza Strip in 2014, when the party was under the command of Ed Miliband, a Jew who issued stern criticism of Israel at the time. The issue gained steam in February, when Alex Chalmers resigned last February as the vice-chair of the Oxford University Labour Club. According to Chalmers, Palestine solidarity activists had taken over his school’s Labour chapter and made life unbearable for Jewish students. He rattled off a litany of incidents that constituted antisemitism in his view. Almost all of them related to Israel, from angry remarks about its government and supporters to chants in support of Hamas. Chief among Chalmers’ grievances was “members of the Executive throwing around the term ‘Zio’” — a shorthand for Zionist that he viewed as the very embodiment of antisemitic rhetoric. Chalmers provided no evidence to support his inflammatory allegations. And none was required for the outrage to make its way across the Atlantic. Within days of Chalmers’ resignation, his claims were repeated in the opinion section of the New York Times by Roger Cohen, a pro-Israel columnist who favors the permanent forced relocation of millions of Palestinians to countries outside their homeland. 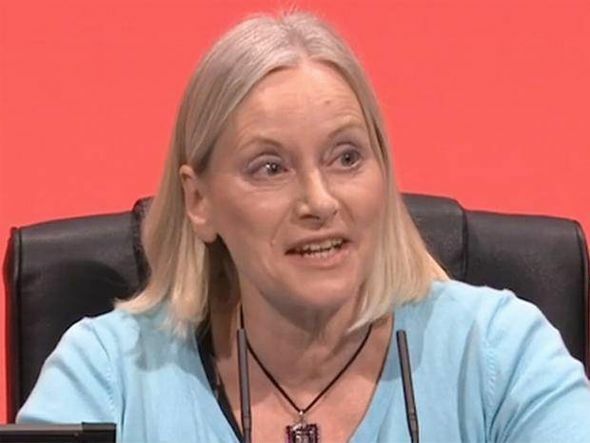 Rehashing Chalmers’ unsourced accusations, Cohen proclaimed that the Labour Party had become infected with “an antisemitism of the Left” under the watch of Corbyn. Unmentioned in Cohen’s column were the ulterior sectarian motives Chalmers had deliberately concealed. As journalist Asa Winstanley revealed, Chalmers had been an intern at BICOM, the main arm of the UK’s pro-Israel lobby, which recently published the following call to arms: “Save your pitch fork for Corbyn.” Chalmers’ online bio noting his position at BICOM was mysteriously deleted around the time he publicized his allegations about antisemitism at Oxford. When Winstanley contacted Chalmers about the internship, he set his Twitter account to “private” and went off the radar. During an indisputably counter-productive and possibly alcohol-influenced performance, Livingstone rambled that Hitler had, in fact, provided support to the Zionist movement. Within hours, he too was suspended. As with Shah, the allegations of antisemitism that followed his suspension centered around impolitic commentary related to Israel, not Jews as a whole. Livingstone might have been guilty of going off script, but he was not necessarily incorrect. The history of Nazi Germany’s robust economic and political collaboration with the Zionist movement throughout the 1930s is widely known and well-documented—even Elie Wiesel has openly reeled at the record of Zionist cooperation with Hitler’s minions. Behind the furore over Israel criticism lay a constellation of political forces exploiting the issue to suppress the grassroots insurgency in Labour. Under Blair’s watch, powerful pro-Israel elements entrenched themselves in the party, reversing the strong support Labour demonstrated for the Palestinian cause during the Thatcher era. Membership in Labour Friends of Israel (LFI), a pro-Israel lobbying faction, became a must for members of parliament seeking ministerial positions under Blair and his successor, Gordon Brown. 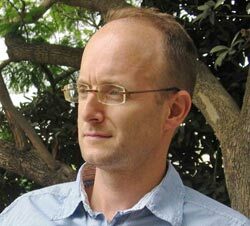 Among LFI’s most generous funders is Baron Sainsbury of Turville, a reclusive billionaire who is heir to the Sainsbury supermarket fortune. Sainsbury is also a key funder of Progress, the faction established by pro-Blair elements to promote his agenda in the mid-1990s. 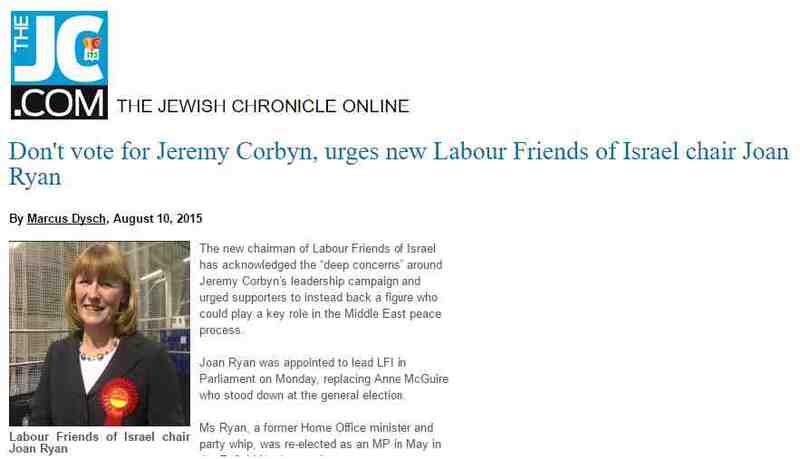 Members of both LFI and Progress have led the crusade to paint Corbyn and his allies as a band of raving antisemites. Lord Michael Levy, a former special envoy to the Middle East under Blair and top funder of LFI, has amplified the attacks with a series of media appearances in which he accused Corbyn of weakness in the face of anti-Jewish bigotry. A new and unusual line of attack holds Corbyn responsible for an alleged dearth of donations to Labour from “Jewish donors” like Levy. The panic that spread through Labour’s right wing on the eve of Corbyn’s election reverberated in Jerusalem, where the Israeli government has vowed a campaign of "targeted civil elimination" (code for character assassination) against Palestine solidarity activists. By taking the helm of Labour, Corbyn became arguably the most high-profile supporter of BDS in the world. The Israeli government had placed him at the top of its political kill list and was bound to open fire at an opportune moment. The moment arrived on May 1, as the BBC’s Andrew Marr hosted Israeli Ambassador to the UK Mark Regev for a lengthy interview. Anyone who watched international news coverage of any of Israel’s last three assaults on the Gaza Strip will remember Regev as the face and voice of Israeli propaganda, spinning massacres of besieged civilians as acts of self-defense without batting an eye. Seated across from an exceptionally receptive host, Regev unleashed a tirade against the pro-Corbyn wing of Labour and the left in general, declaring it had “crossed a line” into antisemitic territory, even accusing it of “embracing Hamas.” Playing on the innuendo that has painted Corbyn as a supporter of Islamist insurgents, Regev demanded that Corbyn send an “unequivocal message” rejecting Hamas and Hezbollah. Marr piled on, baselessly claiming that Corbyn’s press secretary, Seumas Milne, had declared “it is a crime for the state of Israel to exist.” It took Marr over half an hour to retract his falsehood. By then, as usual, the damage was done. The spectacle of a foreign diplomat from a country with one of the world’s worst human rights records injecting himself into a local electoral contest to brand the leader of a major political party as a bigoted cheerleader for terrorism perfectly crystallized the nature of the campaign against Corbyn. There has been no such defiant address by Corbyn. Instead, he has convened an independent inquiry into antisemitism within his party, inviting further attacks even as he acceded to political pressure. The upcoming investigation will only be the latest in a series carried out in recent years. In January 2015, the Parliamentary Committee Against Anti-Semitism published a detailed report outlining its findings on anti-Jewish bigotry in the UK. It was authored by David Feldman, a leading expert on the history of British Jewry and the director of the Pears Institute for the Study of Anti-Semitism at Birkbeck College. By rejecting the politicized definition introduced by pro-Israel forces, which considers the adoption of “double standards” toward Israel to be a form of anti-Jewish prejudice, Feldman deprived them of their favorite line of attack against sympathizers with the Palestinian cause. As Stern-Weiner clinically demonstrated, the vast majority of charges against Labour members related to commentary about the state of Israel, not the Jewish people. In order to paint anti-Zionist members of Labour as dangerous antisemites, Corbyn’s opponents have had to resort to conflating Israel with all Jews. Ironically, they have relied on the same conflation that actual antisemites typically employ to indict world Jewry for Israel’s crimes against Palestinians. Jonathan Freedland, a veteran columnist for the Guardian, has been among the most aggressive employers of the conflation tactic. An outspoken liberal Zionist, Freedland has insisted on his right to call out antisemitism as he pleases and without any critical scrutiny from Gentiles—just as “black people are usually allowed to define what’s racism.” By extension, he has sought unlimited license to use “Jews” as a floating signifier for Israel and Zionism, to arbitrarily fuse the Jews of the world with a self-proclaimed Jewish state that only a minority of them inhabit. Echoing Freedland, Ephraim Mirvish, the chief rabbi of the UK, declared that Zionism “can be no more separate from Judaism than the city of London from Great Britain.” Mirvish insisted that non-Jews were out of bounds by challenging the conflation of Jews with the political project of a Jewish state, ignoring opinion polls showing that a full third of British Jews identity as anti or non-Zionist. John Mann, the member of parliament who chased Livingstone down a hallway while shouting about Hitler, has said that “it’s clear where the line is” on anti-Jewish bigotry. But during his testimony at an unsuccessful tribunal on “institutional antisemitism” on campus, Mann was harshly criticized for his inability to locate that line. Even as they avoid putting forward a coherent working definition of antisemitism and exploit identity politics to silence those who do, Labour’s pro-Israel elements are pushing a new rule that could amount to a pro-Israel loyalty oath. Back in April, members of the right wing of Labour proposed a rule change that would allow the party to ban members for expressing opinions deemed to be antisemitic. Leading the charge were Jeremy Newmark, chair of the pro-Israel Jewish Labour Movement, and Wes Streeting, a member of parliament and former employee of the Blairite Progress faction. When the furore over Livingstone’s comments about Zionist collaboration with Nazi Germany erupted, the call for a rule change intensified, inadvertently revealing its actual objective: To establish a lever for purging anti-Zionists from the party ranks. If implemented, the rule change could function as a de facto oath of pro-Israel loyalty for new Labour members and might even result in a series of tribunals for those who fail to toe the ideological line. Though Labour performed far better in the May 5 local elections than a generally hostile media predicted, Corbyn’s opponents are determined to paint him as unelectable, just as they did during last year’s campaign for leadership. Even before votes were counted, they were dead-set on sacking him. “We have got to get rid of him. He cannot be allowed to continue,” a Labour member described as “moderate” by the Daily Express said on the day of local elections. 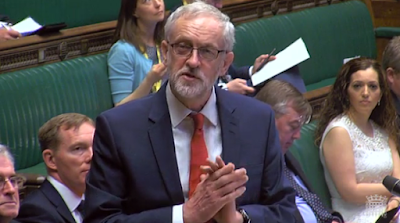 The positive results may buy Corbyn some time, but his foes have signaled their intentions. They are determined to bury him in the same way the fictional villain Sir Percy Brown attempted to with PM Harry Perkins. “In South America they’d call this a coup d’etat,” Perkins protested when Brown presented him with scandalous documents forged by his security services. Max Blumenthal is the award-winning author of Goliath, Republican Gomorrah, and The 51 Day War. He is also the co-host of the podcast, Moderate Rebels. Follow him on Twitter at @MaxBlumenthal. Not that anyone is listening now, but the artist himself, Kalen Ockerman, has said that the group in his mural comprised historical figures closely associated with banking. His mural, he says, was about “class and privilege”, and the figures depicted included both “Jewish and white Anglos”. The fact that he included famous bankers like the Rothschilds (Jewish) and the Rockefellers (not Jewish) does not, on the face of it, seem to confirm anti-semitism. They are simply the most prominent of the banking dynasties most people, myself included, could name. These families are about as closely identified with capitalism as it is possible to be. There is an argument to be had about the responsibilities of artists – even street artists – to be careful in their visual representations. But Ockerman’s message was not a subtle or nuanced one. He was depicting class war, the war the capitalist class wages every day on the weak and poor. If Ockerman’s message is inflammatory, it is much less so than the reality of how our societies have been built on the backs and the suffering of the majority. Corbyn has bowed to his critics – a mix of the Blairites within his party and Israel’s cheerleaders – and apologised for offering support to Ockerman, just as he has caved in to pressure each time the anti-semitism card has been played against him. This may look like wise, or safe, politics to his advisers. But these critics have only two possible outcomes that will satisfy them. 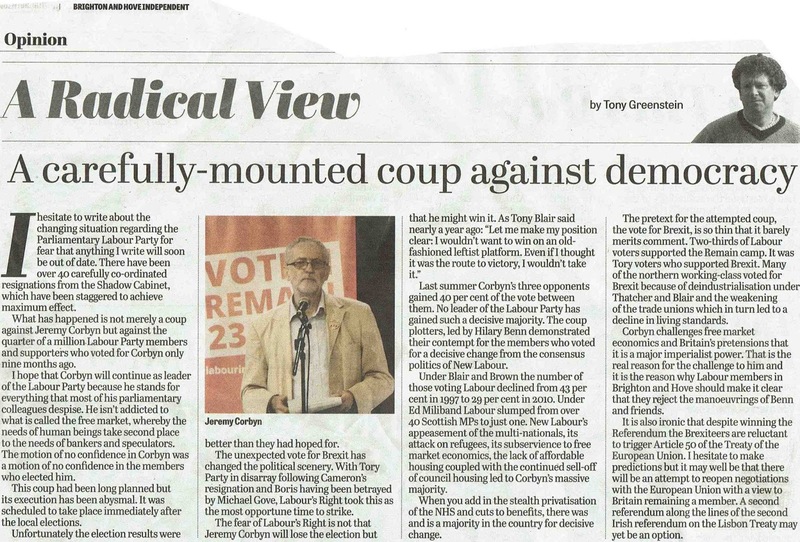 Either Corbyn is harried from the party leadership, or he is intimidated into diluting his platform into irrelevance – he becomes just another compromised politician catering to the interests of the 1 per cent. The sharks circling around him will not ignore the scent of his bloodied wounds; rather, it will send them into a feeding frenzy. As hard as it is to do when the elites so clearly want him destroyed, Corbyn must find his backbone and start to stand his ground. This piece in the liberal Israeli newspaper Haaretz by their senior columnnist Anshel Pfeffer sums up a lot of the sophistry (intentional or otherwise) underscoring the conflation of leftwing critiques of neoliberalism and globalism with rightwing ultra-nationalism and anti-semitism. The conspiracy theories of globalist bankers utilizing mainstream media and corrupt neoliberal politicians to serve their selfish sinister purposes, rather than those of ordinary people, are identical whether from left or right. And on either side, most of the theorists will never admit to being anti-Semitic. They are just “anti-racist” or “anti-imperialist” if on the left, or “pro-Israel” on the right. And most of them really believe they have nothing against Jews, even while parroting themes straight out of the Protocols [of the Elders of Zion]. Notice the problem here. If you are a radical leftist who believes, as generations of leftists before you have done, that military, political, media, and financial elites operate in the shadows to promote their interests, to wage class war, then not only are you a conspiracy theorist, according to Pfeffer, but you are by definition anti-semitic as well. If you believe that an Establishment or a Deep State exists to advance its interests against the great majority, you must hate Jews. The logic of Corbyn’s critics has rarely been articulated so forthrightly and so preposterously as it is here by Pfeffer. But make no mistake, this is the logic of his critics. 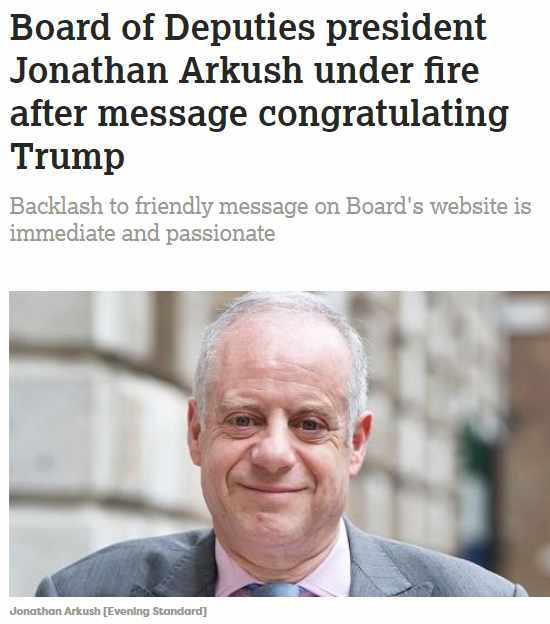 In the Jewish News last Monday Jonathan Arkush of the Board of Deputies of British Jews called for the removal of the whip from Chris Williamson MP. Williamson’s crime was saying that it was a pleasure to share a stage with Jackie Walker and for calling for the reinstatement of Ken Livingstone. Tonight we learn that Christine Shawcroft has been forced to quit as Chair of the Disputes Committee for supporting a suspended member, Alan Bull. Jeremy Corbyn is in full retreat throwing his political friends to the wolves. Instead of standing up against this McCarthyist witch-hunt by Israel’s supporters he is like a ship without sails at the mercy of a storm. We have to be clear. Appeasement doesn’t work it only encourages them. Last night I had a dream that I had been given the task of drafting a letter from Jeremy in response to Jonathan Arkush of the Board of Deputies letter. Thank you for your letter of 26th March. You wrote about an ‘institutional failure to properly address Jewish concerns’ giving the Chakrabarti Report as ‘the most glaring example.’ I could not agree more. I have long wanted to implement Chakrabarti’s proposals regarding natural justice and due process. Unfortunately we have only just removed the last remaining obstacle to their implementation, namely Iain McNicol. Try as I might McNicol insisted on retaining the principle of Israeli military courts, namely that you were guilty unless proven otherwise. Indeed Labour’s National Constitutional Committee has I understand much the same conviction rate as Israel’s military courts – 99.74%. Even now we are still experiencing problems with Sam Matthews who is refusing to depart. You speak of my failure to ‘tackle anti-Semitism’ and that I issue ‘empty statements’ whilst doing ‘nothing to address or understand it.’. Let me assure you that I take all racism extremely seriously. That is a consequence of what you call my ‘far left worldview’. 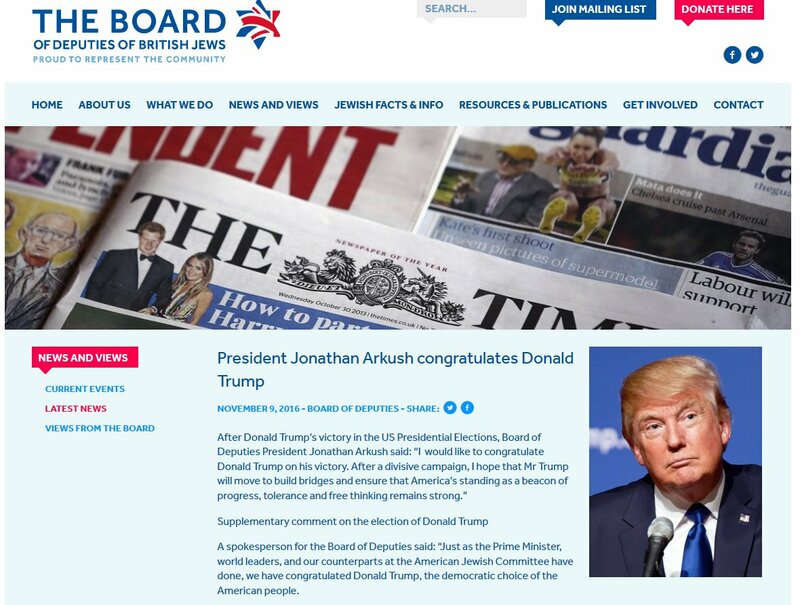 That was why I refused to welcome the election of Donald Trump who, in the words of the Washington Post, had presided over a campaign in which anti-Semitism was not merely an undertone but the melody. As Dana Milbank observed ‘Donald Trump and his surrogates have been playing footsie with American neo-Nazis for months.’ The final ad of Trump’s campaign featured three Jewish bankers – George Soros, Janet Yellen and Lloyd Blankfein alleging that they were part of a ‘global power structure’. That is why I was so surprised to hear that you had extended such an effusive welcome to Trump. The Jewish Chronicle reported that ‘British Jews have responded angrily’ to your statement. I would be interested to know why you welcomed to power alt-Right politicians, such as Steve Bannon and Sebastian Gorka, who are steeped in anti-Semitism. 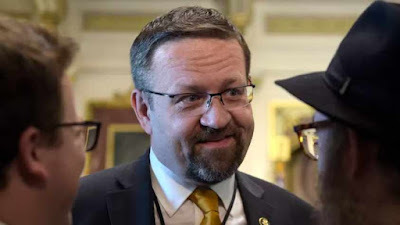 Ha’aretz noted that Gorka, despite his links to a Hungarian neo-Nazi group was welcomed by the Jerusalem Post conference last year like a superstar. 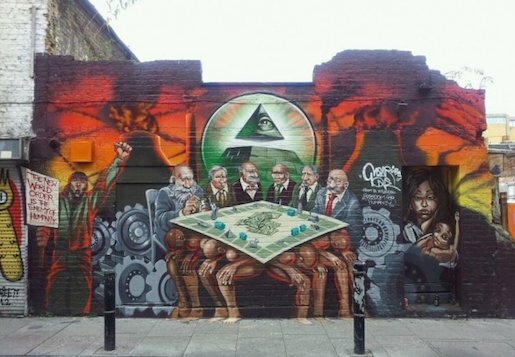 When Jews complain about an obviously anti-Semitic mural in Tower Hamlets, Corbyn of course supports the artist. Hizbollah commits terrorist atrocities against Jews, but Corbyn calls them his friends and attends pro-Hizbollah rallies in London. Exactly the same goes for Hamas. Raed Salah says Jews kill Christian children to drink their blood. Corbyn opposes his extradition and invites him for tea at the House of Commons. These are not the only cases. The problem with all your letter, in which you say that I have ‘sided with anti-Semites rather than Jews’ is that you give a host of examples – none of which are true. For example you say that Hizbollah commits terrorist atrocities against Jews. Hizbollah has got nothing to do with British Jews. Hizbollah didn’t even exist until Israel attacked Lebanon in 1982. Its real crime is defending Lebanon against Israeli invasions and forcing Israel out. You demonise Hamas but it was Israel that created Hamas as a counter-weight to secular Palestinian nationalism. See The Washington Post Wall Street Journal and The Intercept. You mention that I took tea with Raed Salah, who you allege ‘says Jews kill Christian children to drink their blood.’ This too is untrue. Raed in fact said ‘“Whoever wants a more thorough explanation, let him ask what used to happen to some children in Europe, whose blood was mixed in with the dough of the holy bread.” There was no reference here to Jews. Raed insists he was referring to the practices of the Inquisition not Jews! That was why he was acquitted by the Jerusalem Magistrates Court and it was only on appeal that he was convicted by the higher colonial District Court. Raed Salah was locked up by Theresa May on the basis of a poem that was changed by the Jerusalem Post so as to make him appear anti-Semitic. Mr Justice Ockleton of the Upper Tribunal freed him. You are even more confused when you say I opposed his extradition. There was no extradition! You say that ‘Again and again, Jeremy Corbyn has sided with anti-Semites rather than Jews. At best, this derives from the far left's obsessive hatred of Zionism, Zionists and Israel.’ Why when you deny that this is about Israel do you deliberately conflate anti-Zionism with anti-Semitism? You say that ‘Rightly or wrongly, Jeremy Corbyn is now the figurehead for an anti-Semitic political culture’. This is mere hyperbole. I have always opposed racism. My reasons for supporting the Palestinians and opposing Zionism are the same as my reasons for opposing Apartheid in South Africa. As you will of course know, Israel and South Africa were the best of friends. That is why people like Archbishop Desmond Tutu say that Israeli apartheid is worse than that in South Africa. 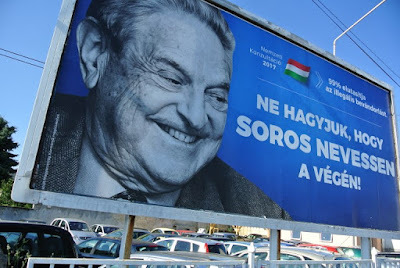 Let me assure you that it is because I am opposed to anti-Semitism that I was appalled when Netanyahu paid a friendly visit to Hungary’s Prime Minister Viktor Orban last July just after he had initiated an anti-Semitic campaign against George Soros, the American Jewish philanthropist and a childhood survivor of the Hungarian Holocaust. 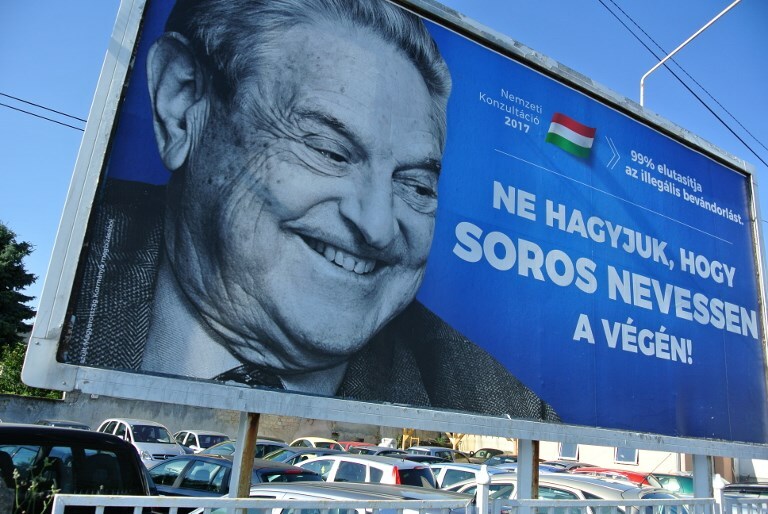 Netanyahu supported Orban because he too hated Soros on account of his financing Israeli human rights organisations. According to the Jerusalem Post Netanyahu is now blaming Soros for helping the 40,000 Black African refugees he is trying to deport. Maybe that too is anti-Semitic? Orban is currently engaged in trying to rehabilitate the pro-Nazi leader of war-time Hungary Admiral Horthy who presided over the deportation of nearly ½ million Jews to Auschwitz yet Israel has nothing to say on this. What I find strange is that Israel has such friendly relations with all the anti-Semitic regimes in Eastern Europe – from the Czech Republic to Poland. Indeed it is hard to think of a single neo-Nazi or far-Right movement in Europe that isn’t pro-Israel! 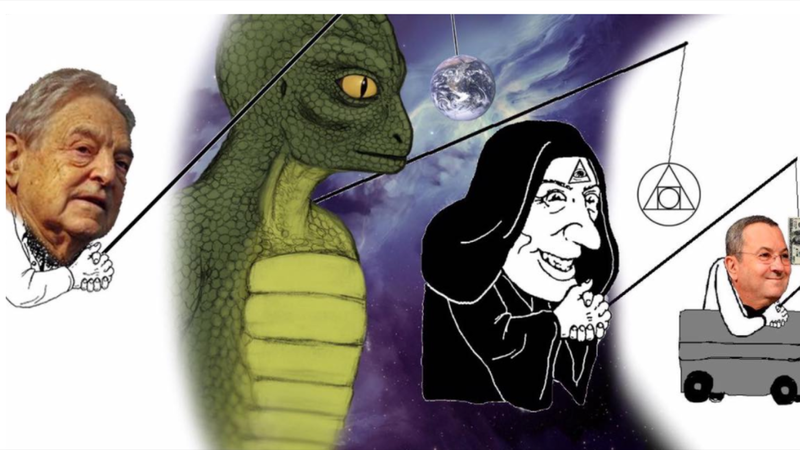 Netanyahu’s own son Yair produced a genuinely anti-Semitic cartoon attacking George Soros, complete with a Lizard and a stereotypical image of a Jewish financier. Young Yair even received praise from David Duke, ex-KKK Grand wizard and Andrew Anglin, the neo-Nazi editor of the Daily Stormer. What I find particularly difficult to understand and perhaps you could help me, is that when the fascists tried to march through the Jewish East End of London in the 1930’s, the Board of Deputies told Jews to ignore them, stay indoors and leave it to the Police. The same happened with the National Front in the 1970’s. Why is it that the Board is prepared to stage demonstrations over non-existent anti-Semitism but runs away from the real thing? Just one last favour Jonathan. You rightly ask me to remove anyone who is anti-Semitic from the Labour Party. Can I ask that you return the favour? Jonathan Hoffman is a delegate to the Board. He has been filmed demonstrating alongside Paul Besser, former Intelligence Officer of Britain First as well as with the EDL. I am sure you will agree with me that the best place to start fighting anti-Semitism is at home.